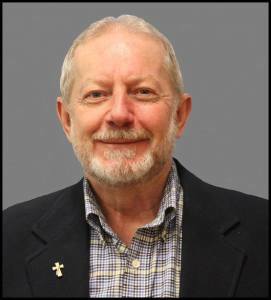 Deacon David Guillory was born August 10, 1951 and has lived in Eunice since birth. He was married to the late, Sandra Miller of Eunice and they had four children, Chad Guillory (deceased), Holly Guillory Fedele, Heather Guillory Langley, and Andrew Guillory. Deacon David is also grandfather of seven grandchildren. Having been ordained to the Diaconate on August 26, 1988, Deacon David was initially assigned to St. Anthony of Padua parish in Eunice, his home parish at that time. After two years, he was assigned to St. Thomas More parish in 1990 and has served here since.